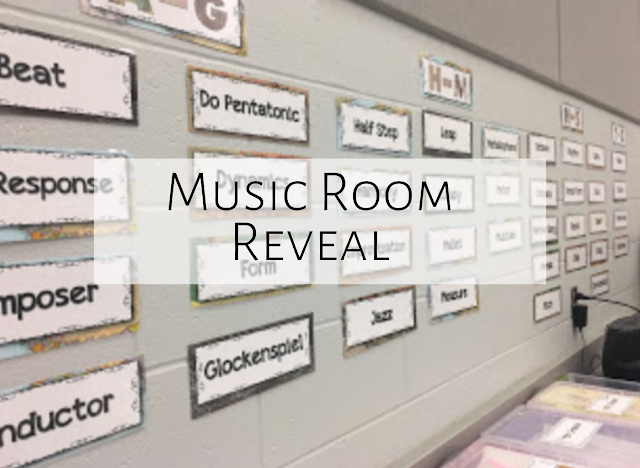 After many hours of working in my room, I'm FINALLY ready to reveal my music room for this year! Here is a view of my room as you walk into it. I am super lucky to have a pretty big room! I decided on a travel theme this year, and I have to say, this might be one of my favorites! I love the colors in the theme, AND I love that it fits in with my school's theme of "Oh, the places you'll go!" I really tried to be intentional this year to not cover every single wall with something, so that kids could learn in an engaging setting but not be overwhelmed. Here is my word wall. Instead of posting words by individual letters, I decided to group letters. I'm loving this, because in years past, I felt like my word wall was a bit overwhelming (and honestly, do we HAVE to have the word "zydeco" up there just to fit the letter Z?) This is much more manageable! A bit further up the wall, I have hand drums hung with 3-M hooks, which is great for easy access! The baskets have clipboards and props in them; I bought those at Target. The partner poster is a great visual for students who can't find a partner to go to; you can download it for free here. 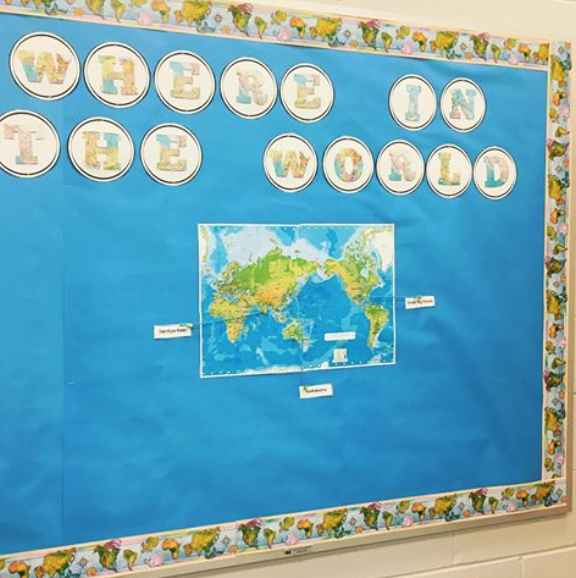 My first bulletin board is a "Road map to the lines and spaces" and is a great visual to remember the names of the notes! 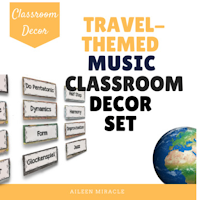 I just added this bulletin board to my travel-themed music classroom set; if you've already purchased, you can re-download under "my purchases." The globe paper lantern I already had purchased when I did a space theme a couple years ago, so I just got it back out of the closet to hang it! Here is my other bulletin board. As students learn songs and dances, they can add them to the map and point to where the song or dance is from! Here is my musical symbol wall, as well as my hand signs. 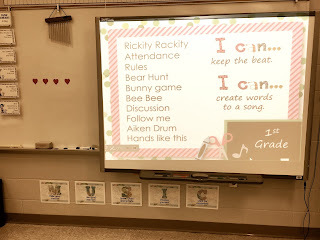 I love having this wall, because I've seen kids make so many connections as I'm teaching and as they are figuring out which symbol we're discussing! At IKEA, I picked up a different type of stool for my flexible seating area. The white stool is called the Maximus, and is super affordable! 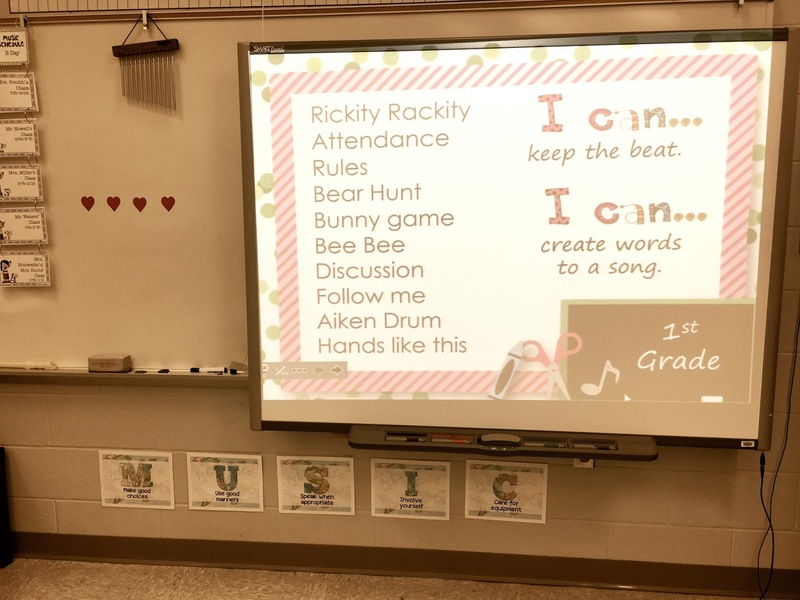 For more flexible seating ideas, see these blog posts. I also picked up this wall decal and map-themed clock at IKEA! Here is my points poster and my editable schedule cards. The cards help me keep on track every day, and can be purchased here. I decided to post my rules closer to the ground so kids could see them better! I created this globe above my computer on an awesome site called blockposters.com. I simply uploaded the jpg, printed out the poster, cut it out, and laminated it! I created the letters for "Oh, the places you'll go" with my Cricut. These are my grade-level bins, which really help me stay organized! The bins are by Really Useful. I added these to my Music Room Organization Set, which includes lots of other themes. 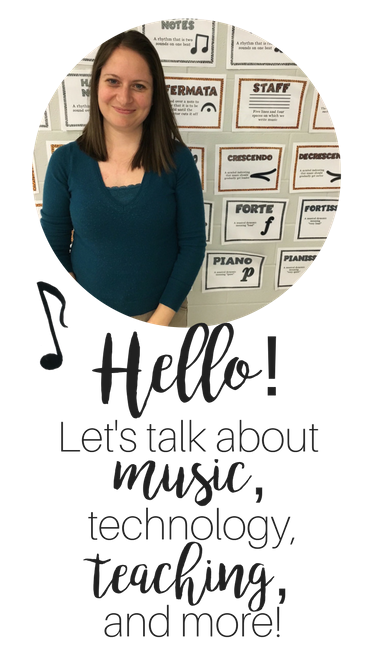 These hang above my bookshelves to help students remember the instrument families. I also created labels for my bookshelves to remember what goes where! Here is the display by my door, which shows musicians from around the world. My kids really seem to love this display and are often asking me questions about it, or exclaiming, "This is cool!" You can download it for free in this blog post. Good luck setting up your classroom, and I hope your year starts off well! Love this! I have a shared classroom with the art teacher, so I have limited space. I love seeing how other teachers set up their room so I can get some inspiration and see what things I should prioritize for displaying. Happy School Year! 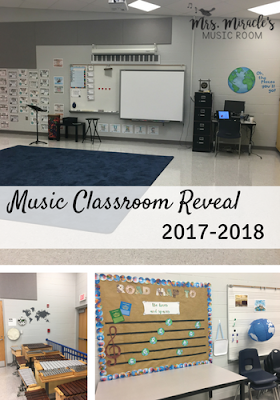 As a senior music education major, this gives me tons of ideas for my future music classroom! There is so much that I could display and this helps narrow down my options.